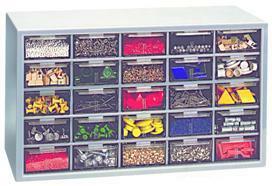 In 1275mm shelving systems 30 box files can be stored. 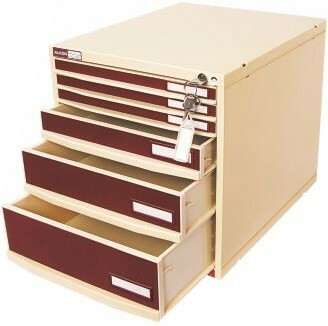 In 1875mm shelving systems 40 box files can be stored. 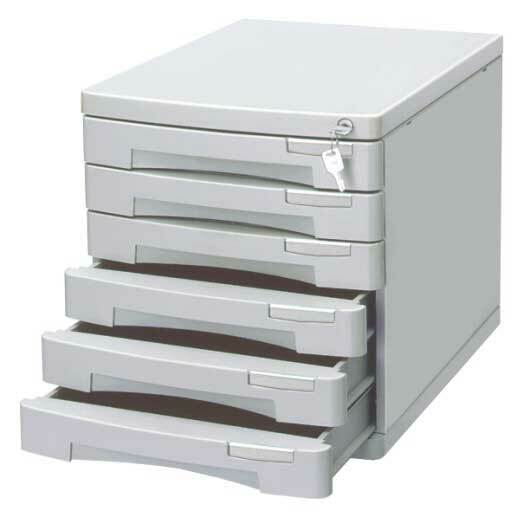 In 2175mm shelving systems 50 box files can be stored. 1 Set of ASUB 123 Shelving Body. Unit can hold 10 Nos of Box Files per layer. 1 Set of ASUB 183 Shelving Body. 1 Set of ASUB 213 Shelving Body. 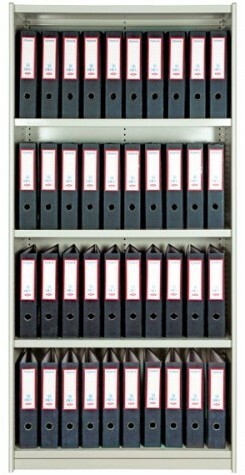 Total 30 Nos of Box Files per shelving unit. 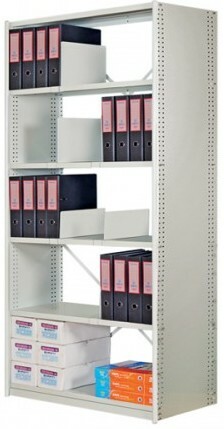 Total 40 Nos of Box Files per shelving unit. 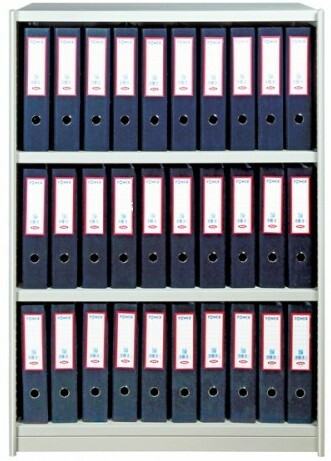 Total 50 Nos of Box Files per shelving unit. Optionally Roll posts along with back bracings can be used instead of back panels to reduce cost of the filing unit as given below. 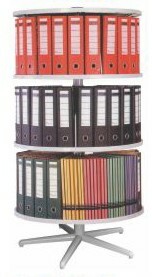 Free Standing Shelf Partitions are used in the Alkon File Storage Systems as partitions to keep the files vertical. They prevent the files from falling or sliding down on the shelf. Free standing shelf partitions are available in two standard heights of 150mm and 250mm for shelves of depth 300mm, 400mm only. 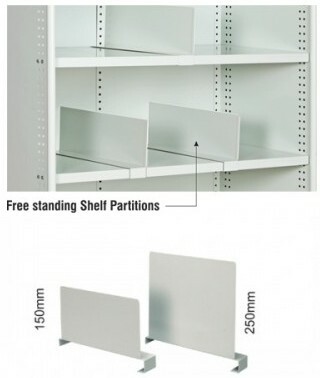 ( Shelf partition for shelves of depth 450mm, 500mm & 600mm available subject to MOQ & special request ).